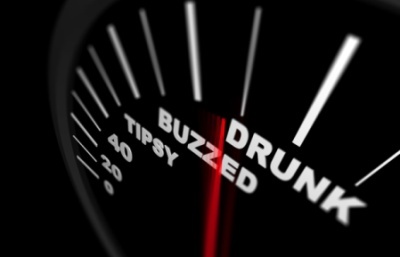 In Michigan, as in most other states, the legal blood alcohol content (BAC) limit is 0.08 percent. If you are tested and have reached this limit (or greater), you are considered a drunk driver. If an officer has stopped you on your way to or from Soaring Eagle Casino and Resort, Central Michigan University, or a night on the town, chances are it’s because the officer believed he or she had probable cause to suspect you were under the influence of alcohol. You were probably asked several questions and then given a field sobriety test to help the officer determine if you were impaired. The outcomes of these tests are of utmost importance because they are often the deciding factors in whether the police make an arrest. If the arrest leads to an Operating While Intoxicated (OWI) or Operating While Visibly Impaired (OWVI) conviction, you may face harsh penalties such as a fine, suspension of your driver’s license, skyrocketing insurance premiums and a possible jail sentence. If you are convicted of a similar charge again, the penalties will be even more severe. While all of this sounds scary — and is most certainly a very serious matter — a conviction for these offenses is not guaranteed. Mistakes can happen when sobriety tests are administered, and the team at Barberi Law, with offices in Mount Pleasant and Midland, Michigan, will work hard to gather as much information as possible pertaining to the test that led to your arrest (including reviewing dash cam footage, checking the calibration and maintenance records of the DataMaster instrument that was likely used to determine your BAC, and so forth). If it can be proven that human errors were made or that the test was compromised in any way, your charges could be dismissed or reduced to a nonalcohol driving offense, which may lessen your fines and penalties. At Barberi Law, we’re committed to vigorously defending your rights and will examine every aspect of your OWI or OWVI case to obtain the best outcome for you. Contact us today to open discussions about how we could help you through this difficult time in your life.